Our Key resources blog post series continues with a selection of music and creative resources. that we hold here in the library. There are some really great resources out there so we hope that this post helps! All of the books listed here are free to borrow from the ChYP’s Ministry Library (Diocesan House, Lady Wootton’s Green, Canterbury, CT1 1NQ) Please do email Gemma if you would like to borrow any of them or with enquires about the other resources that we hold. 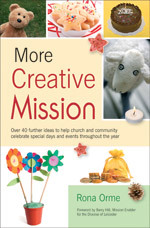 More creative mission contains an exciting mix of easy to run outreach ideas for community minded churches to use, whatever the season or celebration and with groups of any size. Some of the ideas follow the liturgical calender, while others can be used at any time. 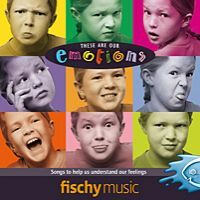 “These are our Emotions” is a collection of tried and tested songs that help children to be able to recognise, understand and manage both their own feelings and those of people around them. Themes include setting boundaries, expressing anger, accepting yourself and forgiving people. All of the songs give strong support to key curricular areas across the UK. 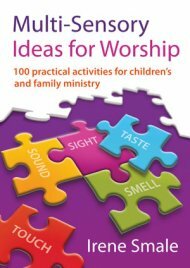 Worship and singing are often used synonymously, but this book looks at how we can worship using our senses. Divided into five section- see, hear, smell, touch and taste- it provides activities that can be used in a variety of settings. Children learn through music, however not all children’s teachers are musically inclined. Holy Moses Stomp will help non-musical teachers incorporate music into their lesson plans so that their pre schoolers are taught in the unique ways that they learn. Funky live worship for kids. Have fun learning some funky dance steps and action songs. Sing-a-long words on screen option, instructions for actions. Learn to breakdance features. 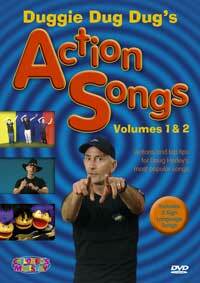 We have three volumes of this DVD available in our library for you to borrow.